Shambles Tavern, 44 Shambles, York, YO1 1LX have now been awarded our highly revered Good Food Award – Gold Seal for 2019. 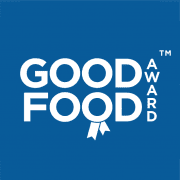 Our Gold Seal is the highest accolade bestowed by the Good Food Awards and is reserved to those achieving our award for three consecutive years or more. Premises must maintain the same exceptional standards that gained them initial entry into our awards over a three year period. Truly making this achievement the marque of distinction. These premises have demonstrated exceptional levels of food quality, service and value when compared to our industry benchmarks in their category and have now maintained this formidable standard for three or more consecutive years. The tavern is open from 8.30am until late, 7 days a week. We serve freshly cooked breakfasts, lunches and suppers. We have inside and outside seating areas with heaters and table service. Call in for drinks for food. We serve freshly prepared food to order from our Yorkshire sourced menu. We offer a great range of Yorkshire ales, ciders, wines, prosecco, coffee, teas and real ale gift boxes. Our real ale products are hand-crafted by a growing number of micro brewers with passion and care for you to enjoy. We take pride in serving the ales at the best possible quality. Please visit our bar area to order or ask our team to assist you with your choice. Shambles Tavern enjoys a Good Food Award, 5* Hygiene Ratings, Trip Advisor Customer Excellence Award.